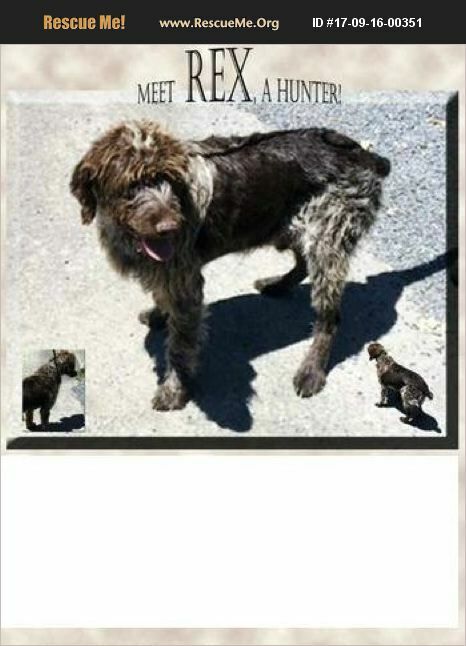 Nevada German Wirehaired Pointer Rescue View other German Wirehaired Pointers for adoption. 'Rex' and 'Ike' : Two adult neutered GWPs, in rescue w/GWP lover. Given up when owner died, very well cared for and loved by their 'Dad', but family can't handle their drive and energy. 'Rex' is 11 years old, 'Ike' is 8, and they have been together for 8 years -- bonded, so we would like to find them a home together. Full health exam/blood testing (neg HW/tick etc), vaccinated, and will be chipped. Both hunt. Looking to be part of the family, outdoor recreational companions, and hunting buddies (not necessary). Seeking breed-savvy adopter, that will love them and exercise with them! Per protocol, Rescue requests application/home visit/vet references/and adoption fee (to help cover their neuter and above). Others available also (6 yo 'Elliott'). Thank you for considering a dog in need!